Another Pirates Bay photo, this one on a stormy and rainy day. 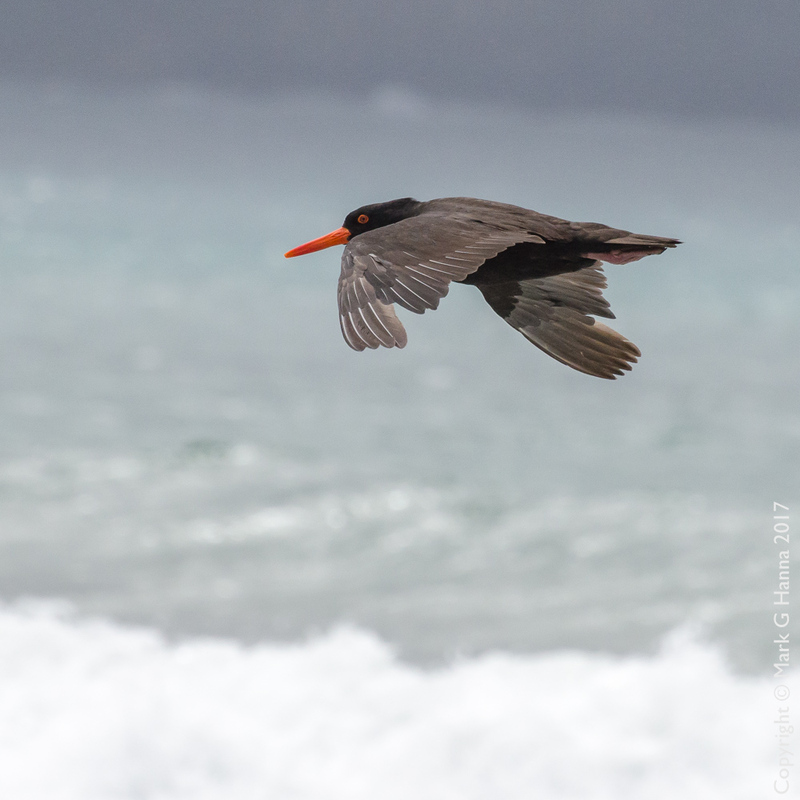 The oystercatchers will watch you very carefully as you walk along a beach, calling angrily as you close, then fly around you back to the beach, rather like the Hooded Plover does. I think for once I tracked this one perfectly in flight. Birds-in-flight are even harder than birds-avoiding-humans. Like the Hooded Plover, they maintain a nest on or near the beach among rocks, seaweed and the like, and their angry calls are warnings to stay away.